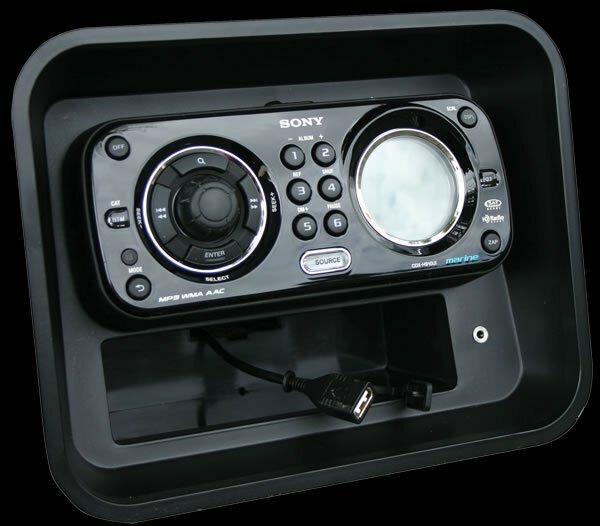 With a MAAX Spas® Sony® stereo/CD combination, sound resonates through the water from a sub-woofer integrated into the spas interior substructure, allowing you to not only hear, but also to feel, your desired music. Your favorite play lists and satellite radio are just a touch away with the Sony satellite ready stereo and MP3 connection. Two fully integrated speakers provide crisp clear fidelity for your listening enjoyment. With MAAX Spas Sony stereo/CD combination, sound resonates through the water from a sub-woofer integrated into the spas substructure, allowing you to not only hear, but also to feel, your music.